Side-scrolling platforming, mayhem inducing video game Joe Danger will be making its way onto various Android platforms this year, including Google Play, the Amazon Appstore and even OUYA. The game will follow in the footsteps of the iOS version that was first released in 2013 with some improvements. Joe Danger is one of the most fun games I have ever played, especially with friends so I am very excited to see it in Android. According to developer Hello Games, the Android version will feature the same 80 levels, online scoreboards, achievements, unlockable characters, Daily Challenges and whatever else was included in Joe Danger Touch. It will also be compatible with game controllers with the developer promising a completely unique experience that is different from both the touchscreen-based controls and the console versions of the game. It looks like the Android version of the game is the collaboration result of Hello games and SockMoneyStudios, a mobile video development studio that has years of experience in both iOS and Android platforms. The pricing of the game is not clear but keep in mind that the iOS version costs $2.99 with some optional in-app purchases so maybe this will be the same. 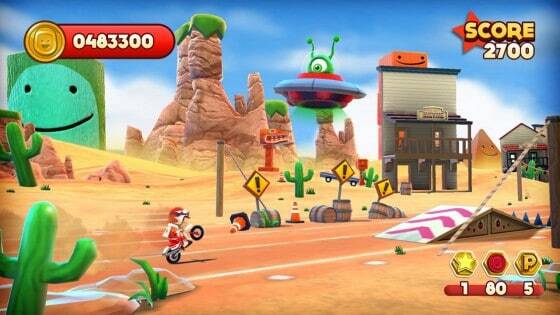 Have you ever played a Joe Danger game? Are you excited for its Android release? Let us know in the comments!